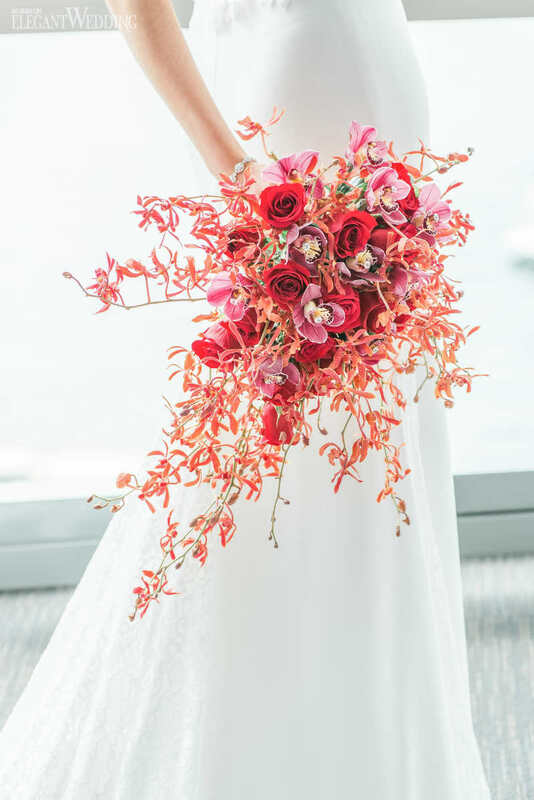 Inside the trendy and upscale Waterview Vancouver, planner and designer Live the Dream Weddings & Design Co. put together an alluring red and black wedding theme that’s left us awestruck. 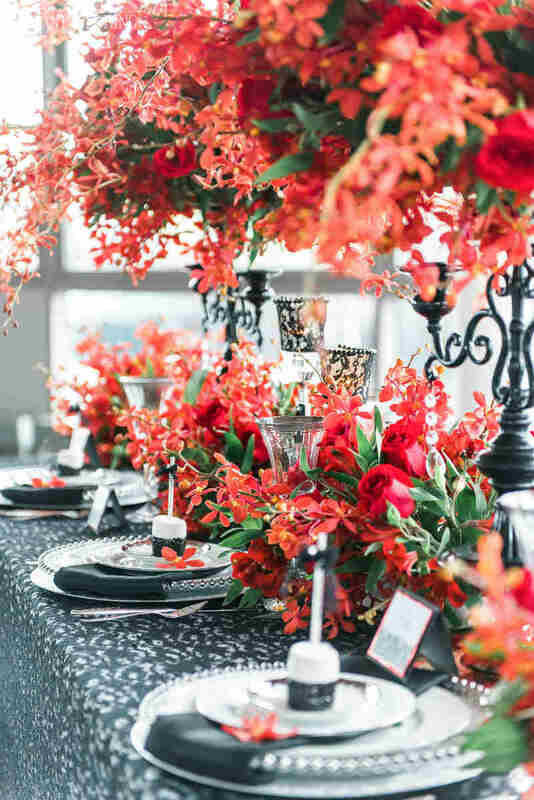 The tablescape, overflowing with luscious, bright red florals, is seen arranged with black lace linens and decor perfectly blending a modern aesthetic with vintage flair. 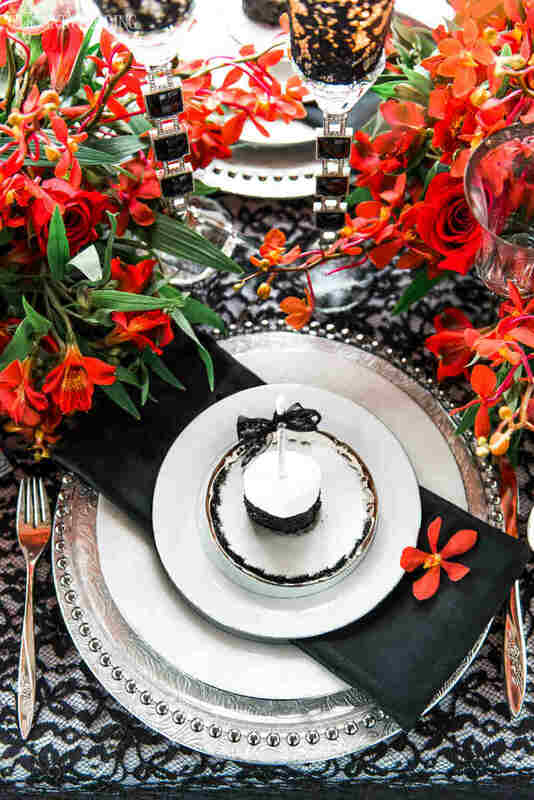 At the sweet table, a monochromatic setup of cupcakes and cake pops surround a five-tier cake decorated with pearls, sugar flowers and edible metallic paint. Mirroring the theme of modern meets vintage is the pixie-like model wearing a white fit and flare gown from Clara Couture Bridal followed by a custom black gown fit with a birdcage veil and lace gloves.